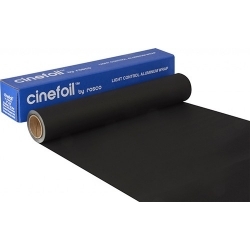 Cinefoil and Blackwrap are essentially very heavy duty black aluminum foil. If you need to cover a light leak this is the tool for the job. 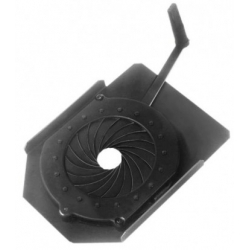 Browse our selection of light masking wrap. 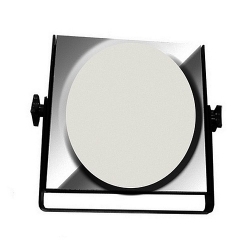 Browse our selection of light positioning mirrors. 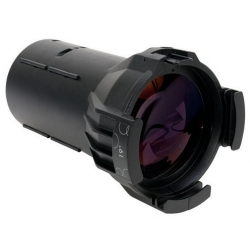 Browse our selection of lens tubes and lenses. Browse our selection of louvres. Browse our selection of snoots & top hats. A barndoor is meant to help adjust the edge of a light that does not have internal shutters. 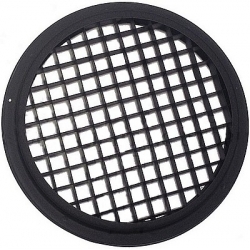 They help “cut” the light off of a surface you do not want it on. They are not something that is going to give you a sharp line but will help control the line of the light to a point. Browse our selection of barndoors. An iris, just like in your eye or a camera, helps you reduce the size of the circle of light to your specific desire. Browse our selection of irises.